As a non-profit organization, we rely on the generosity of our donors and sponsors who give us the opportunity to continue serving our community. 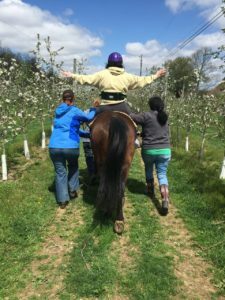 The work we do at OVS is a calling rather than a job, and it is through your donations that we are able to share our gifted horses with those who need it. 100% of your donation goes towards the operation of OVS and building scholarship funds for participants in need. OVS is a 501c3 organization so donations made are tax deductible. CLICK HERE to see contact information so you can contact us about making a donation. 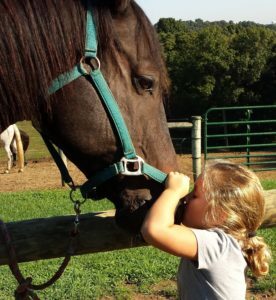 The Support A Horse Program is a fund that has been set up to help assist with the costs of the care and maintenance of our therapy horses. These horses are the center of everything we do and without them we could have never built the lasting relationships with our volunteers, participants, and their families that have started to grow. We are so thankful for every one of our horses and take great pride in the level of care that we provide for them. 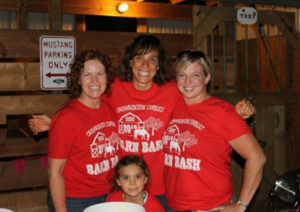 CLICK HERE for contact information and contact Tessa for information about supporting an OVS horse. The dedicated OVS Volunteers are an essential part of our organization. It’s only with the help of our volunteers that we work together to make a difference in the lives of others. Volunteers not only help with lessons but also with day to day operations, such as grooming, barn maintenance and much more! 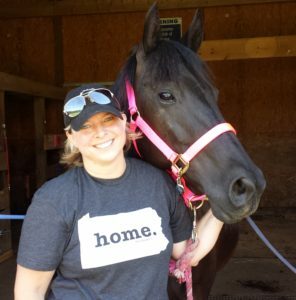 We have volunteer orientation & training meetings on a regular basis, so no prior horse experience is necessary. If you are interested in volunteering sign up to attend a meeting. If you are new to OVS we will give you an orientation to the facility and programs, and if you have been through the orientation you can spend time learning about grooming, tacking, leading, side-walking and more! Click on any of the meetings below to sign up! Want to keep in touch with all that’s going on around OVS? Sign up for our newsletter and receive updates on upcoming events, meetings, and news from around the farm.